Find out Syllabus of Director (First Class Officer) of National Human Rights Commission (NHRC) Nepal for open and internal competition here. 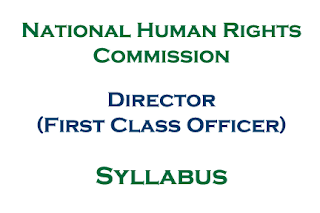 This NHRC Syllabus is online readable here or you have the choice to download it also. Check NHRC Syllabus: Director (First Class Officer) of National Human Rights Commission Nepal below with download link also.